Troy Michaels is a commercial rancher who raises grass fed beef and lamb on his 756-acre family farm. Mr. Michaels is a 5th generation farmer and the farm has been in his family for over a hundred years. Although he is very experienced at what he does, being a commercial rancher means operating on very slim profit margins. Farming leads to soil acidity over time, but lime is very expensive to buy and apply. Mr. Michaels is interested in exploring biochar as an opportunity to raise soil pH and increase his bottom line. 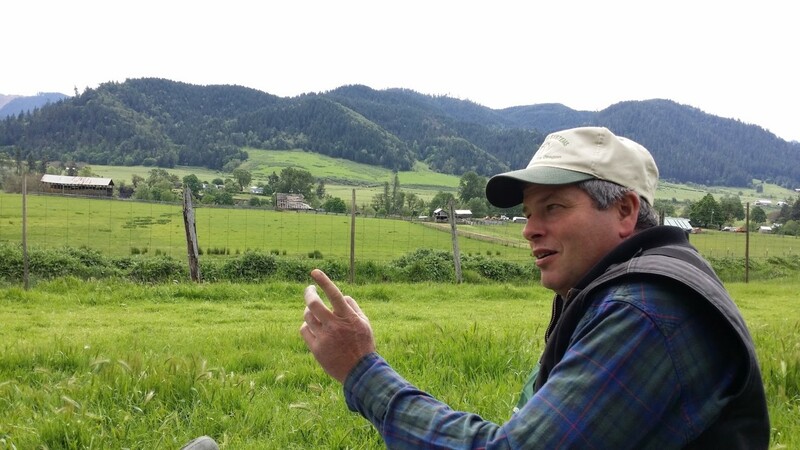 With funding from an NRCS Conservation Innovation Grant, he teamed up with biochar educator Kelpie Wilson to establish field trials on his property and measure the impact of biochar on his production system. A local sawmill gives away a high-carbon boiler ash biochar, which is a byproduct of their production process. The ash content and pH are an indication of the liming capabilities of a biochar. This product is 57.8% ash, has a pH of 8.4, and a calcium carbonate equivalent of 25.2%—so Mr. Michaels decided to use it as a liming agent. Since he is raising cattle, there is an abundance of manure on his property. Mr. Michaels decided to evaluate the biochar alone, manure alone, and a biochar-manure mixture. Additionally, he applied no treatment to control plots. He began by making large manure piles and incorporating biochar into one of them. He then waited for the manure to decompose before field application. Treatments were applied to three plots each, in long strips, to facilitate treatment application. 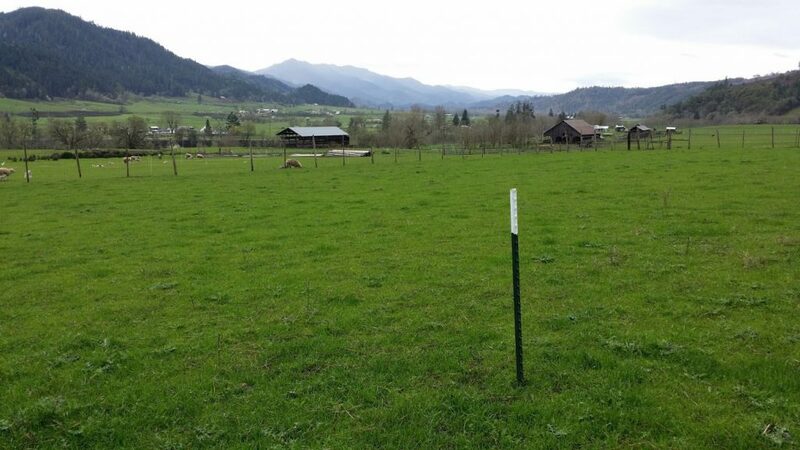 Since he already had ample acreage in pasture production, Mr. Michaels decided to top dress these treatments on an existing pasture. This also made it easier for him to do the trial, since it cut down on the work of planting an additional field. Mr. Michaels plans to keep this experiment going for at least another year. He is pleased that the experiment is laid out using in a way that makes it easy for him to continue to work the area. This means that commercial production practices can be easily incorporated into the research plots—which is critical to evaluate the feasibility of a treatment. Eventually, Mr. Michaels will harvest the plots and take soil samples. He plans to look at crop yield and quality, as well as soil properties that may lead to higher yields over time (microbial activity, pH, water infiltration, soil carbon levels, etc.). A major issue with manure management is the potential for nutrients to be lost from the system and pollute local water ways. Mixing the manure with biochar may help close the nutrient loop and lead to higher levels of nitrogen retained in manure. 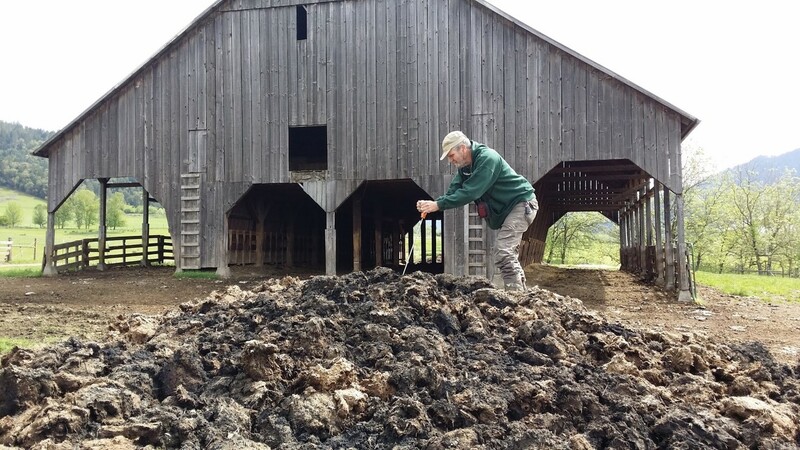 Preliminary data shows that after the composting process was completed, the biochar and manure mix was higher in nitrogen then the manure pile alone. This would indicate that less nitrogen was lost to the system during decomposition. These big-picture, system questions are some of what can be addressed with on farm research trials. There may be a potential for biochar to increase farm profitability and reduce negative environmental impacts!